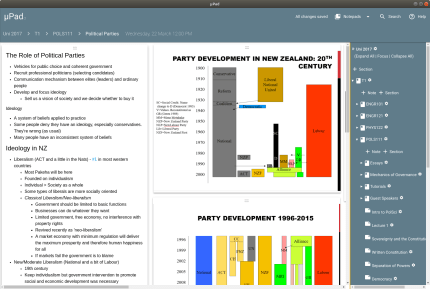 µPad (MicroPad) is an open digital note taking app. Taking notes is a fundamentally important task, especially for students. However, most powerful note-taking apps lock you into their platform. 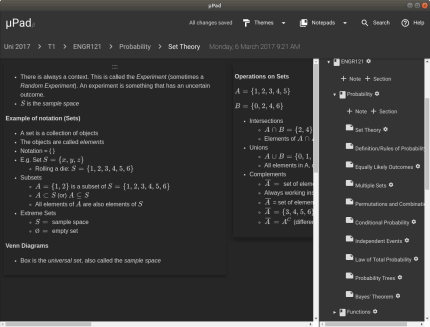 µPad is open source and free. It uses a simple file format (with an open-source parser) and can export to Markdown-formatted plain text. 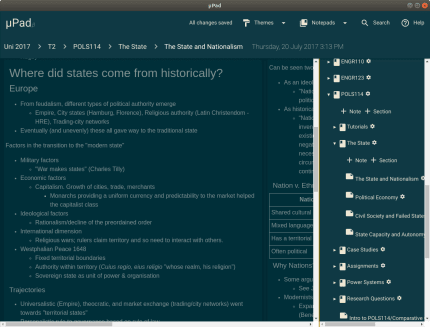 µPad has an infinite canvas because note-taking is a very different task to document-writing, and being restricted to a vertical page limits you. We think taking notes is better on a whiteboard than on a lined sheet of paper. μPad provides an infinite canvas for your ideas, letting you structure your thoughts as you please. μSync is built right into μPad providing a complete and seamless experience. μSync will keep your notes in sync across all of your devices quickly and securely with AES-256 encryption. 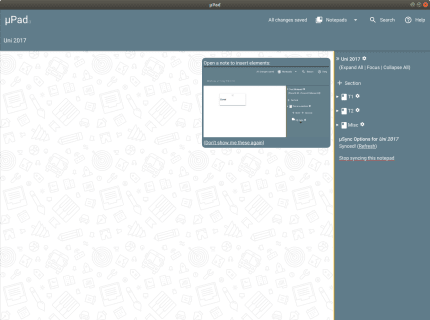 µPad has Evernote import. 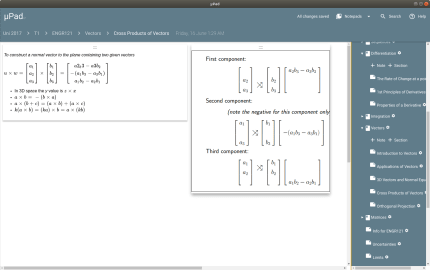 If you export your notes to the enex format, they can instantly be uploaded and imported into µPad. µPad uses Markdown. Markdown is a way to format text without having to lift your hands off of the keyboard. This standard is built right into μPad with helpful additions like: mathematics, todo lists, and tables.